I have often said that poets and entrepreneurs have a lot in common. We’re self-starters. We often work alone, and work long hours for little or no pay. We’re creative types willing to take risks in our craft and in our development as writers. But we have a vision, so we know how to arrange our lives to follow our passion—writing poetry. Poets, in some respects, share a kinship to social entrepreneurs, because what we do has the ability to bring together a community and to benefit society as a whole. And, if we have a book, project, or event to promote, we’re often the content provider, editor, event promoter, host, marketer, social media expert, Web tech, agent, and venture capitalist, all rolled into one. On the other hand, doing even one-third of this stuff leaves little time to write, much less work a day (or night) job and raise a family. Why am I thinking about this today? I’m feeling rather blah and unfocused. Could be the head cold or the Sudafed that’s making me blasé. In any case, I’m in the process of re-evaluating what I should put my energies into during the summer while balancing a busy home life and work schedule. Heck, if I can eliminate one thing off of my to-do list before collapsing into bed, I’m a happy woman. My goal with Underlife is a simple one: get a second print run, which means selling through the first. (At the beginning of May, Underlife had sold almost one-half of the first print run. Woo hoo!) But my goal as a poet has always been to constantly improve as a writer, and to use poetry (mine and others) as a way of creating community. I don’t have a lot of money to spend or time to waste, so I am developing a manageable plan with realistic expectations. This blog, Twitter, Facebook, and Goodreads are ways in which I reach a broad audience. 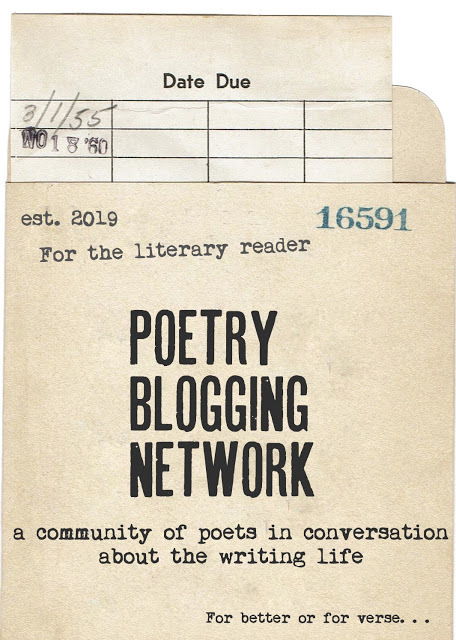 I give as many local readings as possible, submit poems to journals and online publications, and write articles/give interviews for anyone who will read them. I do those things because they’re fun for me, not because I might sell more books. I don’t give away a ton of copies but try to get Underlife into as many hands as possible. This is not rocket science. In fact, most of us do these things already. So many poetry collections are published every year, it’s hard to get anyone outside of family members to care. But that’s the beauty of being poet-preneurs: we have “gone rogue.” We understand what it means to try, fail, and fail again—and often. We don’t do this for the money because there is none (not at the start). Every once in a while, my words connect with a reader. It's usually from a poem I didn’t think much of at the time, but somehow it has resonated with another person. I have made a connection. For me, that's a good as the first sale, the first deal, or the first dollar bill an entrepreneur earns from sweat equity. If this isn't entrepreneurship, I don't know what is. Really like this analogy, especially because I often feel quite alien from entrepreneurs. Thanks! Wonderful post -- and I second your new word "poet-preneurs" -- Fantastic; I bet it sticks in the culture. Shall I credit you when I use / steal it? Susan, feel free to use poet-preneurs. I feel like someone must have thought of that sooner than me. Full disclosure: I work at Babson College, the No. 1 school for entrepreneurship. I live and breathe this stuff daily. But working there helps me think about poetry in a different light. Thanks Drew, Sandy. We are all entrepreneurs in one way or another. Sorry about your cold -- we're just starting to get over ours. Of all you outline, I think the most difficult aspect for me is being consistent in my efforts. Some days, weeks, months I can accomplish so much, but life, kids, fluctuating energy levels disrupt momentum, so maybe the key is to design things as such so that occasional disruptions can't derail all that effort. Flattery will get your EVREYWHERE, Collin. I'm so happy for your success. You're probably the hardest working fiction/poetry author out there--kudos to you, my friend. But I think you've hit upon a good point. Consistency is necessary. Doing one thing every day to further your goal will take you where you want to go, I think. Yes, designing a life to accommodate the bumps is a good thing. i really admire the balance you show in your IRL and online lives. I admire what you are able to accomplish. Hardest thing lately is that I have had to cut back on blog reading and writing because I just can't keep up with it all. Missing daily check ins on blogs like this already! Last Stop on the Virtual Blog Tour for Underlife!